This bus terminal is conveniently located near the city centre, surrounded by food shops and convenient stores such as 7-11 and 99 Speedmart. 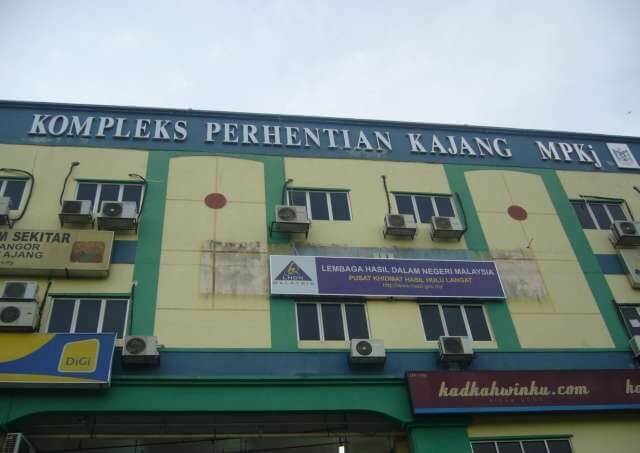 Many bus operators operate at this terminal, namely Transnasional, Mega Jaya Express, Eltabina Express and more, providing routes to various destinations such as Butterworth, Kuala Lumpur, Kuala Terengganu and more. This bus terminal is accessible as it is situated at a convenient location. Travellers can arrive at this location via intracity buses or taxis. Alternatively, travellers can opt for GrabCar as means to this bus terminal. CatchThatBus provide users with the convenience of booking online bus tickets from buses operating at Kompleks Perhentian Kajang. These buses provide daily trips to and from Kompleks Perhentian Kajang to numerous destinations. You can book your bus ticket online from our website or via mobile app which can be downloaded for free on Google Play or App Store.